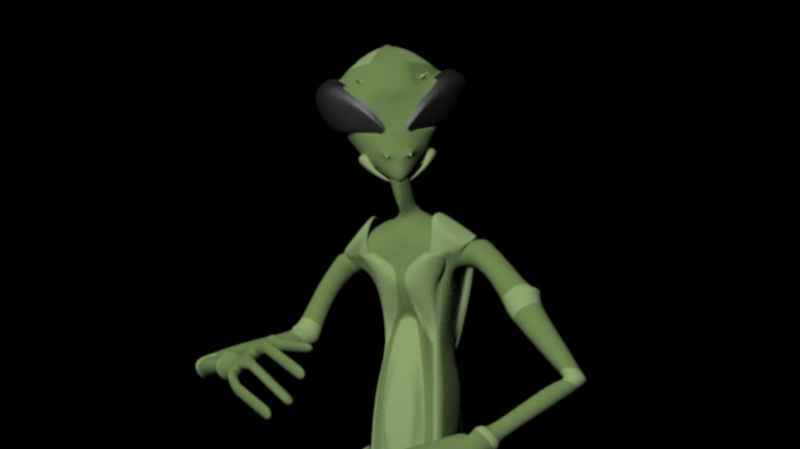 The topics of UFOs and ET life together create quite a multifaceted subject matter. There are nearly countless topics a person could study on the wide variety of off-world life said to exist. Consequently, this discussion between Sgt. Clifford Stone, David and Corey includes topics we may not have yet heard of. We have heard in the past of Sgt. Stone experience as an intuitive empath and interpreter for the Army, and how his lifetime of ET contact experiences assisted him in his military duties. Stone's numerous contacts in this military setting were part of an ongoing study on ET anatomy and were eventually used to create a database of information on how to render first aid to injured crash victims. This was one of the first studies of its kind, and Clifford Stone gives numerous details on this and a number of other subjects in the discussion. David Wilcock: All right, welcome back to “Cosmic Disclosure”. I'm your host, David Wilcock and I'm here with Corey Goode. 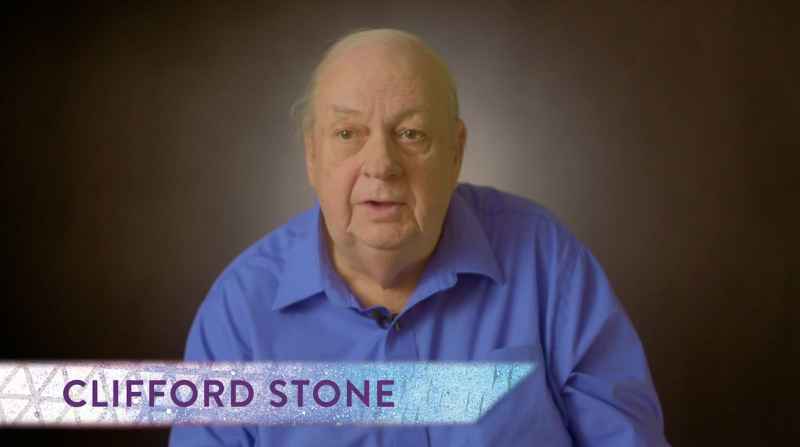 And we are now into our final section of material from the UFO crash retrieval expert, the legendary Sergeant Clifford Stone. 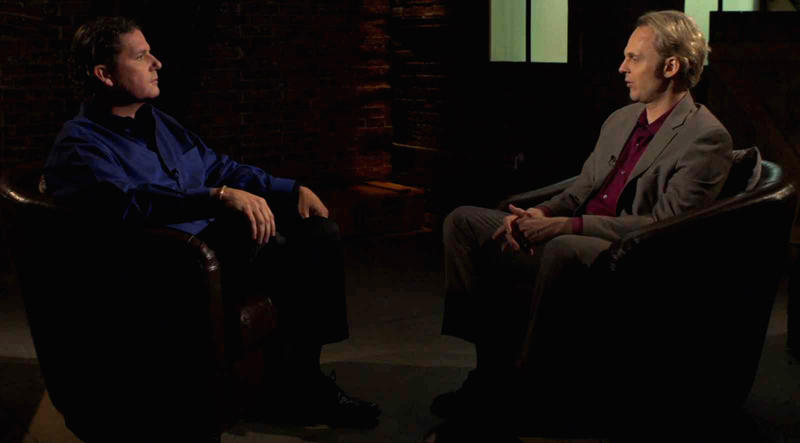 What we're about to see here is a very intriguing piece of the interview in which Stone is describing his work with the medical field manual for a total of 57 different varieties of extraterrestrial that he may encounter, which they lovingly called “the Heinz 57”. Let's check it out. Clifford Stone: There were several books, but this one book, the intent of it was, when we went out to a site, one person had control of that book. And that one person had a medical background. I can't say a doctor or anything like that. But the intent of that was to have that book so we would have an understanding of first aid to render any of the entities that we might come up on. That was the whole purpose of that. I was never supposed to see that book, but because of some other people, intuitive people – I'll put it that way because they knew that there was more of a reason for me being there than just being a member of the team. And I, actually, at the time, I really didn't know that was the situation. I just knew for some odd reason I got selected on it, and I was involved with it. And there was a medical team. I think they called it a triage team. And the triage team, they had to come in. They had doctors, but they had the experts that knew how to deal with them on a much higher level. But in the interim, we had to be able to render first aid. So this person went ahead and showed me. I mean, I'm going to be talking kind of crazy here, I'm sure, but some of the things . . . Okay. For example, for a Band-Aid, some of our entities you couldn't use a Band-Aid. The simple little thing of putting a Band-Aid on what might be like a cut, that could kill them. You actually used something that looked like plaster of Paris to put on there. And, you know, you had a medical kit solely for extraterrestrial. But you had certain types of compounds that was made, just from specific dirt. That's the best way I can put it. Yet, this was first aid for them. Iodine, for example, we could go ahead and put iodine on things that we have. That can kill some of them. The book, or catalog, that I saw of the different 57 species was broken down by sections. And it would go ahead, it would have a picture of the entity. It would have certain statistics of the entity, and it would give a brief bio of the entity. Then it would go ahead and list various types of possible injuries that could occur and the first aid for that. Now, you know, I got to go over it maybe about four times. A lot of people think I was given the book; I took it home and I read it and I kept going. No, no, no, it didn't work that way. Some are so human looking that it would be very difficult for you to tell them any difference from us. They might not catch a punchline of a joke. They're very – how can I put – very serious. So, you know, levity, they may not be able to take in right off the bat. It's a learned process for them. They'd have to learn. You can't see your hand in front of your face, but yet, they can go ahead and they can distinguish colors that way. You have some that are, once again, humanoid, and you have to be very careful because when you come up on that, you very quickly think that they're human. But their pupils [Stone means 'irises'], like we have blue, green, and all that good stuff, brown. Their pupils are black. Therefore, they will go ahead and they will use contact lenses to cover that up. But if they forget those contact lenses, a person seeing them will be shocked because the eyes will look, you know . . . nowadays they're just going to say, “Oh, those are contact lenses.” And I don't know how many kids I saw show up having contact lenses that looked like cat eyes. And, you know, the whole situation is that's what they would say today. But back in the day, there were no contact lenses. And back in the day, they'd wear dark glasses. I would say the freakiest was, and I'm going out on a limb here, because I hate doing this, because, “Oh, no, that's already been talked about”, is what you would call . . . I don't know, having a grasshopper-like face. And a lot of people call them the “praying mantises”. But I didn't have any – how can I put this? I did not have any real problem with them, you know? I got along good with them, but the one problem I did have – remember, I said they had the face about like a grasshopper. They ate like a grasshopper too. What's normal about anything here? It takes a mental adjustment to consider that ET contact has been so extensive over the past century that certain military interests would have actually developed a medical database for the beings that came to Earth. We in the general population can hardly contemplate the waking experience of meeting someone from another world. Yet these people have gotten to know some species so well that they were able to treat their injuries. This is not to say that those who treated these beings were exactly friendly toward them, but as Sgt. Stone has stated, the military had a working relationship with many different groups. These special Army teams were tasked with securing crash sites and at times, quarantining areas until trained specialists could arrive. If there were any survivors, they would be tended to and later released to be picked up by one of their own vessels. David Wilcock: All right, so that's some pretty heady stuff there. When we get into these kind of specific details, to me, that's where you start to feel the truth coming through. Somebody making up a story is not going to have this much level of specific detail, wouldn't you agree? Corey Goode: Yeah, the fine details are where people get caught up, and also, remembering those fine details. David: Right. If you're working in counterintelligence, would it be normal to try to get people to give fine details so that they could get caught up in them and make mistakes if you're trying to catch a liar? Corey: Oh, yeah. Definitely. You're going to ask a person the same questions, pose it differently each time and work your way back to the details that they had given prior to see if anything's changed or to see if they can keep up with their lies. David: Yeah, and Stone has been out there for 20 years, and his stories have always stayed the same, regardless of the fact that he's not ever been able to capitalize on this. He lost one of his sons. It's actually a very sad story because part of his toll of being a whistleblower was losing one of his kids, apparently. Corey: Right. Yeah. Consistency is very important. David: So here he is describing this experience of being an intuitive interface for these ETs on these retrieval teams, but that the other guys on the team did not necessarily know that that's what he was there for. Would it be common for members of a team to not actually know exactly what every member of the team is doing? Corey: It depends on the situation. There are times when the team has to know all about their teammates. You also have compartmentalization in there as well. Even in small teams there is compartmentalization. Corey: And it sounded like they had a pretty good idea he was there to do more than be the NBC [nuclear, biological and chemical] guy on the team. David: So he's describing 57 different varieties of extraterrestrial, and that has been something that has jumped out at me over many years. You were told to read The Law of One material. And in The Law of One material, it's explained that there are 53 civilizations in the so-called “Good Guy Confederation”. And then they also say that George Hunt Williamson was correct in a lot of his material and he identified six negative groups. 53 plus six brings us up to 59, which is only two away from 57. So how does the number '57' - I just explained The Law of One side of things – how does that number maybe permeate into some of the things that you might have also heard? Corey: Now, if these crash retrieval teams . . . they're going to be given a list and information on non-terrestrials that are interacting with us the most, that they're most likely to run across in a crash situation. David: Well, you've mentioned before the Super Federation. And what is the Super Federation doing here? Would they be working with us closely enough that they'd be in our airspace? Corey: Many of them in the Super Federation are . . . they're what they call the 'genetic farmers' – a lot of them. There's a huge experiment going on, a big genetic experiment going on, and they're taking part in it. They don't always come down to the surface, but, you know, they're going to have to come down to the surface to pick up subjects to test and to try to put new genome into. David: So they could be some of the groups that are crashing because they're actually operating in our airspace. The crashes are occurring from the Super Federation group. 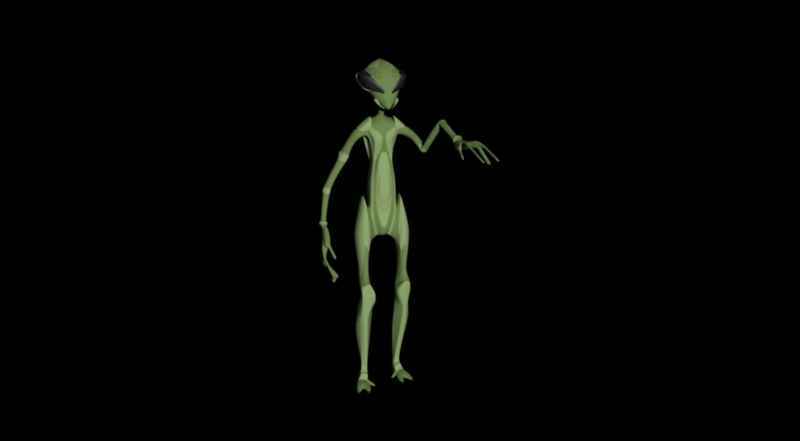 There are also non-terrestrials that come into our solar system. As they're traveling around to other solar systems, they'll stop in to get supplies or do some trading real quick before they leave. So there's a larger number than that that are actually coming in. We developed the ability to monitor our own skies and police our own skies that dropped quite a bit the number of non-terrestrials that were coming into our atmosphere, doing what they wanted to do, and then heading out. But there's a lot more than 57 or 59 that are occasionally coming in and out of our solar system and interacting with us. David: So it's possible that these crash retrieval teams could come across something that they did not have in the flipbook and would therefore, would be unfamiliar to them. Corey: Absolutely, yes. And that's what happened along . . . That's how they built up to 57. Corey: A lot of times, in one of these crashes could be a non-terrestrial that they've only seen once or twice. And others could be non-terrestrials that they've run across quite a bit. David: So what kind of protocol would they have it it was something that they hadn't seen in the book? What would be done at that point? Corey: Well, most likely, they're not going to try to do any type of medical care on them. 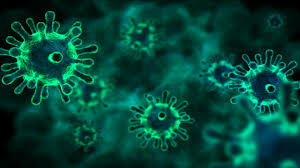 And usually they don't know what type of pathogens they're carrying or what pathogens of ours that they're susceptible to. So they're going to cordon it off until they have medical scientist professionals come in. David: So there are different protocols in place if they don't know the medical procedures that would be safe, where they might be a lot more hands-off at first? Corey: Right. If they're coming up on a completely unknown crash, there are a lot of things to take into consideration from the craft. What is it carrying? What type of chemicals or biologicals are emanating from it that can make them sick? You know, there's a lot to consider. So they usually cordon it off and then send in some specialists to take readings. And if there was a being that was injured, they would probably succumb to their injuries by the time they got medical attention to them. David: Are there problems with radiation and radioactivity in some of these crashes? Corey: Yes. Yes. That's why they have NBC units traveling along with them – nuclear, biological, chemical. David: Have there ever been cases of crashes where little nanites come out that could kind of crawl along the ground and then attack people or something like that? Corey: Ah, I haven't heard anything like that. I have heard of people becoming ill and then dying from walking into crashed craft. David: Hm. Just being exposed to it for a short time is enough? Corey: Being exposed to it . . . Yeah, different radiations, the biologicals, pathogens from the non-terrestrials . . . There's a number of things. David: Now, Stone is describing the idea that certain extraterrestrial physiology, that they could die from just the adhesive, or whatever it is . . . I guess it's the adhesive on a Band-Aid. Corey: Or it could be the chemicals in the adhesive. Yeah, there . . . And I remember reading, because some of the “intercept and interrogation” subjects that we had had, obviously, had medical treatment sometimes. They have to know how to triage and stabilize these beings so that they can get more information from them. David: Well, he said that there was a certain type of wound-healing that might involve plaster of Paris. Corey: Yeah, well, what I've read was that some of these beings were having kind of like anaphylactic shock to chemicals that were being administered to them that would be fine for humans and animals, that these beings were showing, basically, signs of an anaphylactic shock and dying. David: Well, I've had other insiders tell me that ETs are shocked by our planet, in general, because of the number of chemicals that we use and that it's way more than they would use in their own worlds. Have you ever heard anything like that? Corey: Right. They're so advanced that they don't need all these different chemical compounds. David: And maybe because they're not exposed to them, they become a lot more sensitive to them. Corey: Right – as well as pathogens. They don't have a way to fight them off. It seems that as Earth humans, we take for granted all of the chemical influences we are commonly exposed to on a daily basis. As it turns out, virtually everything we use, from disinfectants to fuel for our cars, and even the dyes in our clothing—everything we use is chemically based. It could be that as societies grow in technological advancement, their use of chemical compounds diminishes, and they begin to use less environmentally harmful solutions for meeting their needs. It has been discussed in the past that as technology advances, it tends to shrink in size and become consolidated into smaller and smaller devices. Consequently, most advanced technologies have a tendency to do away with excessive size and multiplicity. The concept of a smart phone is a primary example of this principle. These common devices have everything from calendars to weather forecasts, and alarm clocks. They also have computers, televisions, stereos, and phone capabilities, and all this fits into one pants pocket. It seems that this is the nature of technology. The more advanced the technology becomes, the less technology is needed. David: Something like iodine, though, when he mentioned that, it seems like that's a pretty normal substance in the periodic table that helps biological life. Corey: Well, there are a lot of human beings that are allergic to iodine, that can't have iodine in their system at all or on their skin. So it's completely plausible that something like iodine would cause some sort of allergic reaction in a non-terrestrial. David: Now, why do you think that a certain type of dirt or mud would actually function as a Band-Aid for certain extraterrestrials? Is it the minerals in the dirt, or . . .? Corey: Well, the minerals, and, also, the caking of the mud or dirt is also going to allow their blood to coagulate. David: Do some of these ETs heal a lot faster than we do? Corey: Yes. Some of them that I witnessed that had been treated were already looking very healthy after they had had very bad injuries. And that could be some of the technology we used on them, but usually, after they were stabilized, they were put in a cell and kind of left alone. So they were healing on their own. David: And since we're talking about all this, I'm curious about what do you end up feeding extraterrestrials that are in captivity? Can we feed them our normal food . . .
David: . . . or do they sometimes require very unusual things? Corey: Yeah, usually it's some sort of compound that's mixed together that has . . . It's kind of like a meal supplement that you would take instead of eating. It has all the minerals that they need - vitamins, everything – protein – everything that they need. And different non-terrestrials have completely different systems. Some of them don't really appear to have an operating system in their body for digesting food. David: Is drinking water going to be a fairly common thing throughout most being's biological life? Corey: Well, interestingly enough, I remember seeing that in some of the beings they could only use distilled water for hydrating them or treating wounds. Corey: So I imagine that water can absorb minerals and all kinds of stuff. So it would have to be a purified water source. David: So even though water is healthy for us, it's also got this blend of all the minerals that are unique to our planet, and maybe other planets might have a very different type of mineral blend that that water would have in it. Corey: Right, right. And, you know, distilled water has been stripped of all that. David: Right. Now, he also mentioned . . . He said “pupils”, but then he talks about people's pupils being different colors, so he obviously means “irises”. And he said that some ETs have black irises and it would be quite striking for us to see that if they didn't wear these contact lenses. What was your reaction to that part? Corey: Well, I had actually seen beings that their eyes were . . . all you could see were the whites or pink. On each side of the eye it was black. And that's in more than one species. And he mentioned that this was a species that was very human looking, that you would walk up upon and you would think you're walking up to people. And then you get right up to them and then you would notice something was different or not right. David: Well, let's just clarify this because there might be some confusion in the audience. He's not saying that the entire eye, including the whites of the eye is all black like you see in a lot of these TV shows and horror movies. David: Just the iris. Right. David: Those types are going to usually wear contact lenses before they would appear to us? Corey: I hadn't heard of them wearing contact lenses, but I had heard that they will wear sunglasses. Or depending on the group, if their eyes are different, maybe put on some sunglasses. If their ears are different, just like off “Star Trek”, you know, put on a hat, cover up the pointy ears. When I think about older television shows such as Star Trek, I can't help but wonder just how many of these old shows depict actual events in their fictional plots. In the Star Trek series, we have a crew of explorers who visit different worlds in various stages of development and depending upon their level of advancement, the crew may walk among the people of these worlds to either blend in with them, or they may visit in their actual uniforms in an upfront way. If visitors to Earth were to show up like this, it is very unlikely that anyone would really notice. With all of the propaganda and the standard practice of denial by corporate media, combined with the entertainment nature of the entire subject of ETs, it seems very unlikely that anyone would actually notice if they were standing next to visitors such as Captain Kirk and Spock. Corey: You know, that's if they're anticipating running into the indigenous people. David: And he also mentions running into some kind of insectoid life – people with a head like a grasshopper. Where do you think he might have encountered beings like that? What might have happened, because he didn't really get into where he saw that? Corey: It didn't sound like it was a crash retrieval situation. It sounded like he was at some sort of facility that was an inter-species sort of base, because he was interacting with them. Corey: He told the story about one of the people said the way they eat is disgusting, and he made a remark that, “Well, they probably think the way we eat is disgusting.” And one of the insectoids chimed in and agreed with him . . .
Corey: . . . which is another thing that has come up that we've heard in UFOlogy, and which I experienced personally. A lot of these non-terrestrials cannot stand the smell of us, the sight of us. We're just . . . We're very unattractive to them and we stink. David: I also remember Pete Peterson telling me, and I've said this many times, when he met with a grasshopper-type being that it would put its head down when it laughed because it had these mandibles on its mouth that would open up. Corey: Yeah. The one that I saw that sticks out the most was not exactly in a laughing mood. Corey: It had been captured and it was being interrogated, but it had the mandible things that come out like this [Corey spreads his hands open and closed on both sides of his mouth]. It had a head that looked kind of like an ant or a grasshopper. From the front it was like this [Corey uses both index fingers to point outward from the sides of his forehead]. If it turned sideways, it stuck out a little bit further. But a lot of times, people will call those Mantises, but there are several different types of insectoids. David: And do you think that with Stone being the guy who first put out “57 different varieties” and that most of them are human or hominid in nature, could you just clarify for us, again, if that is consistent with your observations? Is there some sort of human setting or human-like setting that life, when it's intelligent, seems to take? Corey: I've heard that there are different configurations of beings out there, but for the most part they are humanoid – you know, two arms, two legs, a head, fingers, toes of some sort. David: What are some of the different configurations? David: Right. Okay. Another thing that Stone mentioned was this bizarre sensory capability that some of these beings have, where they could touch a piece of paper in the dark, complete dark, and know that it was a red color. That seems pretty outrageous. Some people might try to laugh at him or discredit him just from that one statement. What are your thoughts on that? Corey: Well, some of these beings see through a different spectrum than we do. Their eyes absorb light from a wider spectrum. Corey: So the visible light that we use to see, if you turn that off, there's still a little piece on this side and that side of that spectrum that they can see. And there's also the fact that, I've heard, that a lot of the mind control that is being used on humanity has suppressed a lot of our senses, that we would be capable of things similar to that if we were not being manipulated. David: All right. So we are finished with this episode now. Sergeant Clifford Stone has given us some really really great material. He is a brave American hero. You have to understand how difficult it is for people to come forward and share this material with us. When people want to laugh at this guy on the Internet, they don't realize, necessarily, that he has suffered poverty. He lost one of his children, and he has nothing to gain and everything to lose by coming forward. So we applaud him as an American hero, bringing forward this information to help us all move into the Full Disclosure that we are hoping to get out of all of this. So now, we're going to close out the episode with some of Clifford Stone's final thoughts for us after sharing all this very deeply personal and emotional information. I'm David Wilcock here with Corey Goode. This is “Cosmic Disclosure”, and we're going to close out with a few thoughts from Sergeant Clifford Stone. Thank you for watching. Sgt. Clifford Stone: Now, the whole situation is there's that contact that's going on and there is interaction, but what we don't understand, we fear. And when it comes to abductions, we don't understand. We fear. And I've always said, “I have never been abducted,” at least, I don't believe I have. But now, with me saying that, let me tell you that I remember at a very young age seeing the stars where they cannot be observed anywhere on the planet of the Earth like I saw them on several occasions. The one thing that I'd want everyone to understand and take away from this interview, if nothing else, I'd want them to go ahead and remember, one, let no one live in your mind rent-free. Two, search out and seek the truth. Then, three, go ahead and demand answers on those things that are still left in question as a result of the exposure of those things being exposed by the truth. The problem is, right now, too many people let people live in their mind rent-free, and that is something that you just cannot do. You have people out there with their own personal agendas, and they're telling you that the Moon is green cheese, and everyone wants to believe that. The whole situation is, if you go ahead and research the facts and you come out with understanding that the Moon is very complex, and there's a lot of mysteries. And we want those mysteries answered. When it comes to UFOs, it's a self-keeping secret. Everybody knows UFOs, per se, as UFO reports, exist. They are seen on a daily basis. A government saying, “We're not going to investigate no more,” does not make them go away. There are people who have their psychic insulted on a daily basis by events of high strangeness that takes place, and no one wants to provide answers for that. In short, we need those answers. I know, for a fact, that eventually an event is going to occur, by design or by happenstance, that is going to be so profound there is not going to be NO way to cover it up. And not just the people here in the United States, but the world, are going to know, once and for all, we're not alone in the universe. But what we need to do is have people psychologically ready to accept that. And I'll tell you right now, people say, “Oh, well, it's going to hurt religion.” No, it's not. “It's going to hurt this. It's going to hurt that.” No, it's not. But can they really? Because the whole situation is they are locked within their own paradigm, where they know of exotic propulsion systems that someday we will acquire. And we will visit, not just the planets in our solar system here, but planets in other solar systems that are light years away. And we're working on that technology right now. It's not a secret that we're working on it. It's just people don't know. And these are the facts. These are the truths that people need to seek out. And when they do that, they will realize that we are seeing UFOs in our skies, intelligent vehicles that are coming here from someplace else under intelligent control, by entities not of this world – maybe not even of our dimension. But they have to realize that tomorrow we'll acquire that technology. Day after tomorrow, we're going to become someone else's UFOs. Bottom line: it's going to happen. What's very key to all of this is that each and every person keep an open mind. And I hate to put it this way, there's a lot of things that have went on that for reasons I can't get into have to remain between me and God. That's the best way I can put it. A lot of times I don't feel comfortable about talking. You relive it in your mind. It don't go away. It seems unfortunate to think that some of the first ET contacts made in modern times occurred through military and governmental channels. These organizations have become known for their corruption, underhandedness and overly forceful nature at handling anything they do not understand. If the first ET contacts of modern times were made by open-minded scientifically knowledgeable people, the story would be different. If these Earth humans were spiritually advanced, the situation would have been even more profound. This is not, however, to say that open and unhindered contact with off-worlders cannot occur. I think that it very much can. The time is ripe for disclosure of all ET presence, and this disclosure could not come at a better time. 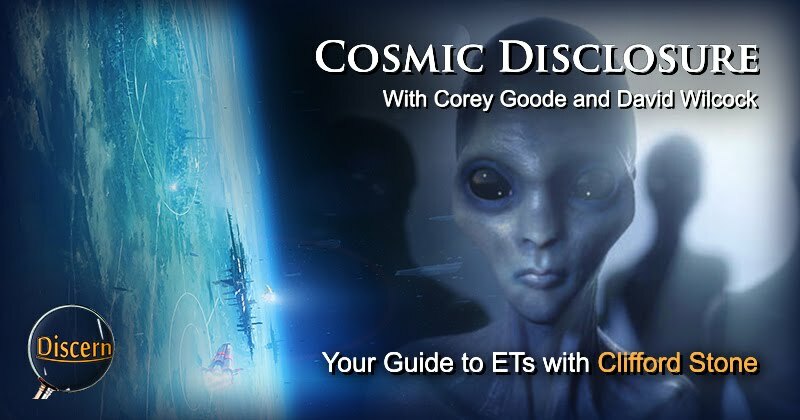 According to past accounts from Corey Goode, the upper ranks of the Secret Space Program plan to hand the entire infrastructure they have built throughout the solar system over to humanity once this disclosure takes place. 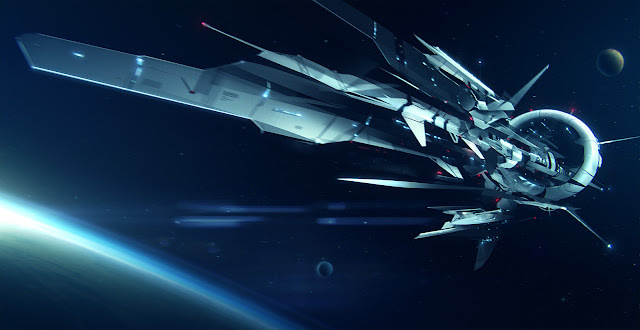 This was the reason why no one was allowed to carry out any large-scale attacks on Cabal/Dark Fleet forces, as these attacks were too destructive, and collateral damage was too great for the Alliance council to allow the attacks to continue. It seems that the beginnings of Solar Warden and the other branches of the SSP may have been appropriate at the time. However, according to Goode and multiple sources, the situation is very soon going to change for the better. Even still, the progress of this situation is up to each of our free-will choice. And dare I say this, at times I felt that the intelligence of these creatures, I felt that when we go ahead and put them on a lower pedestal than us, then the situation is we are not recognizing the fact of their intellectual capabilities – what we have to learn from them. But for selfish motives, we degraded them far below even that of what the human species would be. Yet, because of their intellect, they are on a much higher pedestal than the human species is, and because of their spirituality. And, you know, I know a lot of people was not as vocal as I was, but shared the same concerns that I was airing. And one thing I want to see . . . I really want to see whether people believe in UFOs are here, whether we have extraterrestrials here or not. I want to see some type of recognition that in the event of that day occurring and we have intelligent beings coming here to this planet, then there are certain rights, certain civil liberty rights, recognized under law. So no government, no military entity, for selfish motivation, can go ahead and treat them like test animals. And to be sure, lab animals have more rights than our visitors and are protected much more than our visitors. Because as long as you go ahead and say they do not exist, no laws are going to be enacted. So I'm not asking people to believe that they're here right now. I know they're here right now, but I'm asking to consider that eventually it's going to happen. But when it does, we need to have those laws in place. And on a closing point, I'd like to add is that we have nothing to fear. We only have fear itself to fear. If we open our minds and hearts, we have everything to gain. We have much to learn and it will be a brighter future if we can learn, as our visitors have learned, to coexist peaceably. And also, have our visitors here, as one person put it, we should be willing to learn if they are willing to teach us. We should be willing to teach if there are things that they would like to learn from us. So it's a trade-off, but the whole situation is we have much, much to gain just by keeping an open mind and seeking understanding and seeking out the truth. It seems that each time we hear the accounts of Clifford Stone, we are left with new possibilities to consider with regard to off-world life. We have heard stories of retired Colonel William Tompkins, and his experience during the beginnings of Solar Warden. We have heard the accounts of Corey Goode, and his firsthand experiences from his 20 and Back term in the SSP, and we have Dr. Bob Wood who gave us the engineering and scientific side of various sensitive operations within government and military. The combination of talent on the Cosmic Disclosure series has been impressive, and can give the viewer quite a bit to consider. However, the latter words of Clifford Stone stood out quite a way. Stone seemed to touch on the key point in the implications of Full Disclosure, and the reasons behind why such a disclosure is so important. This is not only so humankind can have an open dialog and make their free choice as to how to interrelate with off-world beings, but it is for the safety of all of those who visit planet Earth in the future. If we know who is coming, we can respect their rights, and they can have an opportunity to respect our right to live as we choose. (This has been a common thread throughout the series.) If we as Earth humans are able to fully realize the extent to which we have been influenced by off-world life, we can better understand our place in the cosmos. We can also understand how to avoid future cover-ups such as those we have seen from our own government and military. The prospects of Full Disclosure are endless, but as stated numerous times before, it is up to each of us to make these disclosures a reality. There is a bright future awaiting us, and it is our task to bring that future into the present.